Just as each home owner’s vision varies, how we install custom countertops, vanities and other stone products in our customers’ homes varies project to project. Each home and each project are unique and we take pride in treating every job like we’re working on our own home. The following outline is just a rough guide for how we lay out the phases for a buildout beginning with an estimate through the finalized, ready-to-use product. 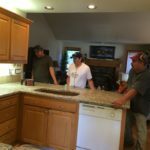 For your free, no obligation estimate, please feel free to fill out the contact form on this website, give us a call (503) 649 – 5852, email us at info@sunsetgranite.com or just stop by our office. We can begin the estimation process right away. 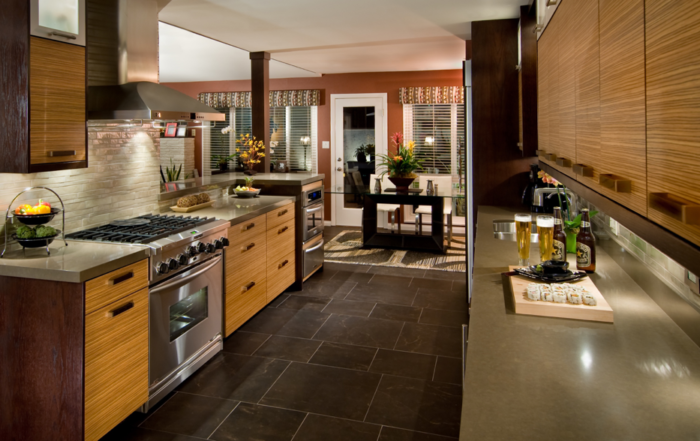 We start by getting a rough sketch of your kitchen layout or we can schedule an in-home estimate with one of our team. 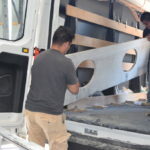 Once all the materials have been selected for your project and the design is complete, stone is cut and all the components are brought out to the job site. 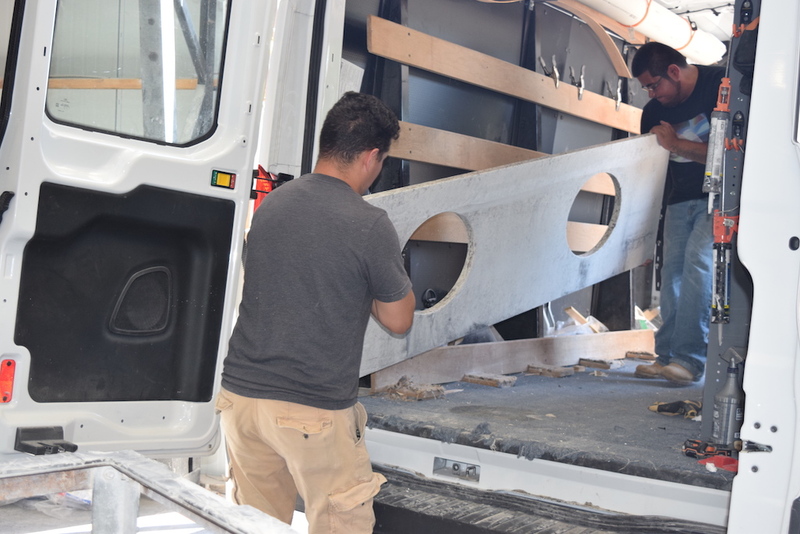 We layout the items and secure them, then we do a pre-installation setup of the countertops to make sure that they sit where we want them. 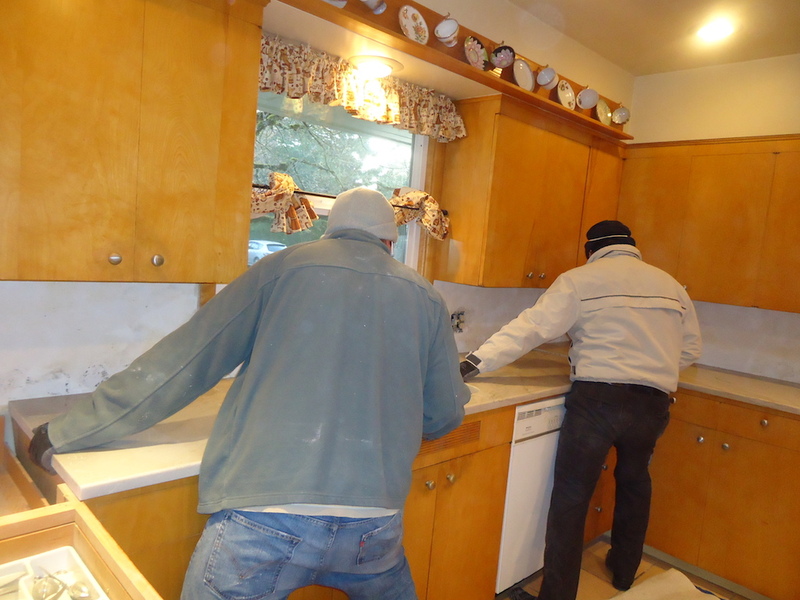 We then remove them from the cabinets so we can cut out the faucet hole. We also make markings on the spots where the braces will be installed on the underside of the slab. Once all the relevant components and the anchor holes have been drilled, we use a bead of silicone sealer around the opening on the underside where the sink will be installed. This of course, is assuming that we are installing an under-mounted sink or apron sink. We lay in the sink and secure it. 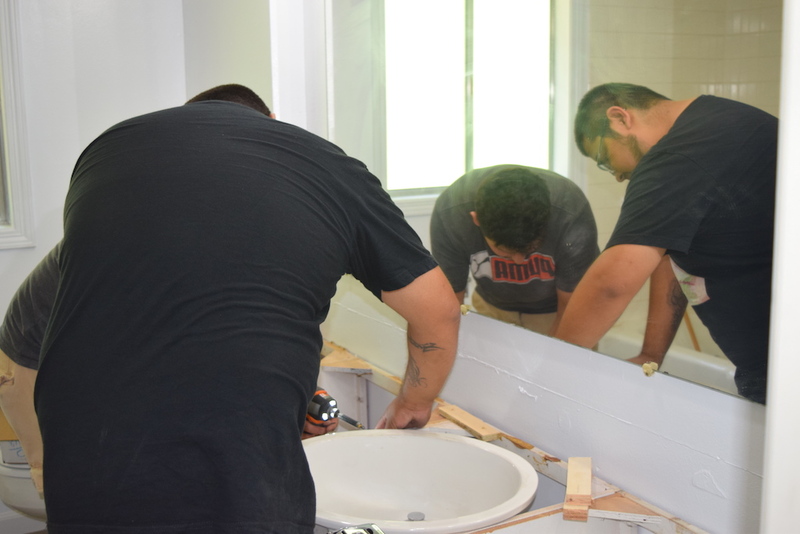 Top-mounted sinks are set into place, checked for proper fit and leveling prior to sealant application. 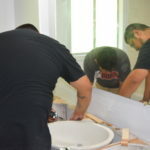 We then install the faucet and the basket for the sink. 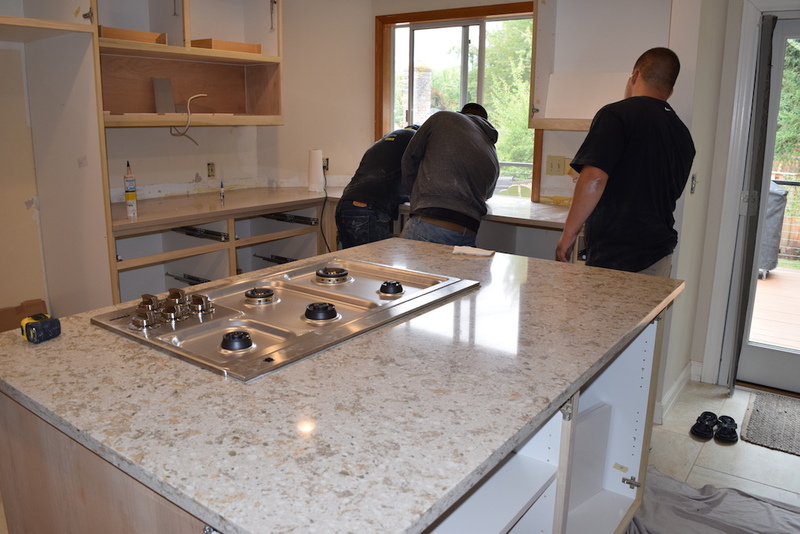 This all being done before the countertops are actually secured in place, allows us ease in installation. 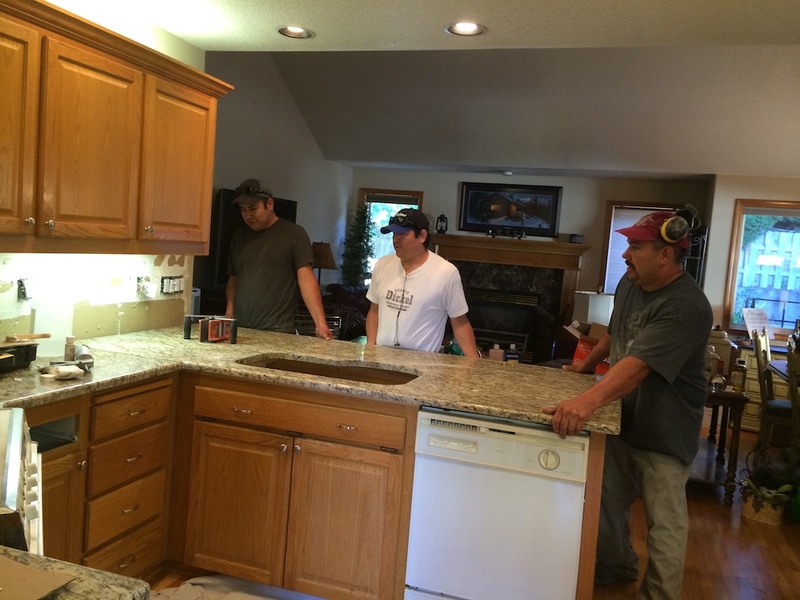 It also allows us to make sure that everything looks perfect prior to final securing of the countertop. Adhesive caulk is then used to secure the counters to the tops of the cabinets. We then seal any joints between the countertop slabs. Finally, we’re able to secure the plumbing and get your water turned on. Your new kitchen or bathroom is now ready for use. 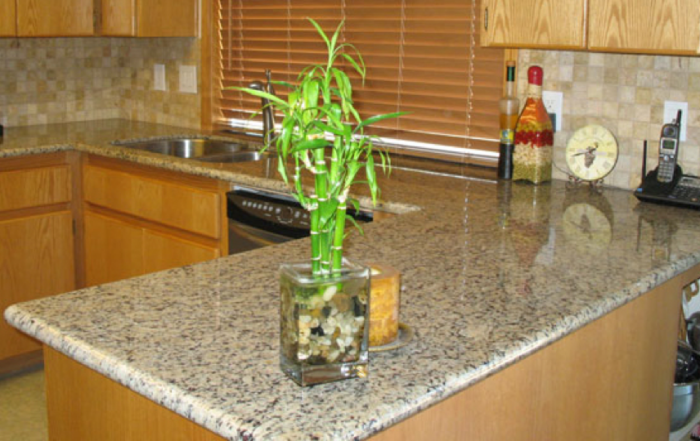 Now that your kitchen countertop or bathroom vanity has been installed we go back over everything to make sure that all the seals are in proper shape. We test the water to make sure that the hookups are working well and that there are no leaks. 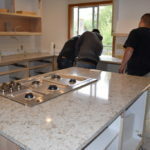 If a garbage disposal is part of this project we will have secured this in the previous phase before the stone surface has been secured to your cabinets.